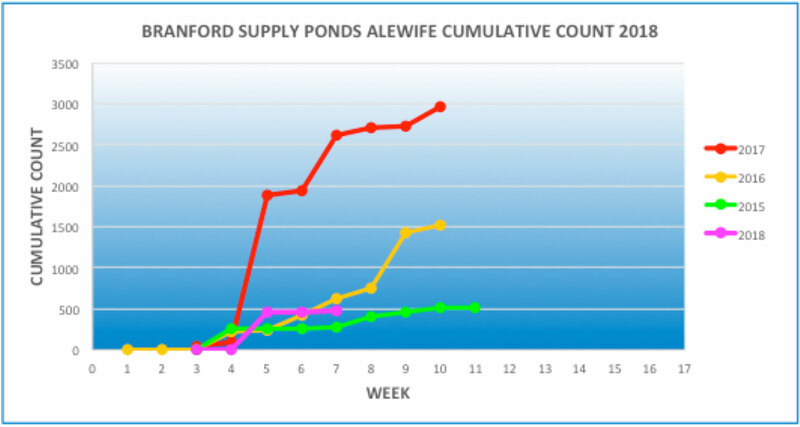 The alewives continue to trickle into the Supply Ponds — 117 in the past week, bringing the year-to-date total to 586. We are well behind the counts of the previous two years. Maybe it’s due to this odd, colder than usual spring. Maybe it’s due to the fish counter malfunction. If this year is at all similar to previous years, we only have 3-4 weeks of additional river herring migration left. Get out and see them while you can! • Click here to read the full report.